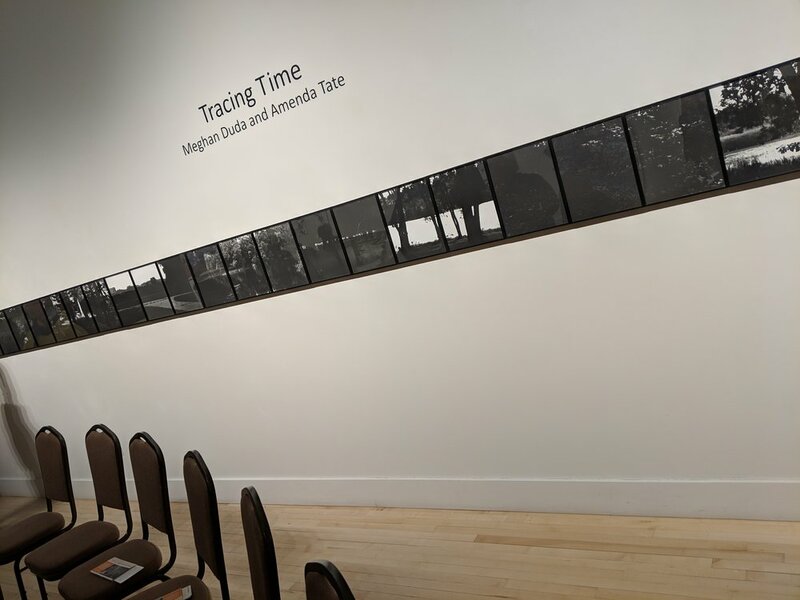 Regional artists Meghan Duda and Amenda Tate create works that observe and record movement and time. Duda uses a large scale pinhole camera mounted on a trailer to photographically record scenic changes along the Mississippi River. Tate’s work seeks to capture the fluidity, grace, and motion of a ballet dancer. By incorporating the use of a motion-sensing remote control connected wirelessly to a robotic painting device, Tate can translate the dancer’s movement by recording the device’s mark making. ARTISTS TALK Tuesday, February 5, 7 p.m.